NeverSeconds: How does lunch time work? 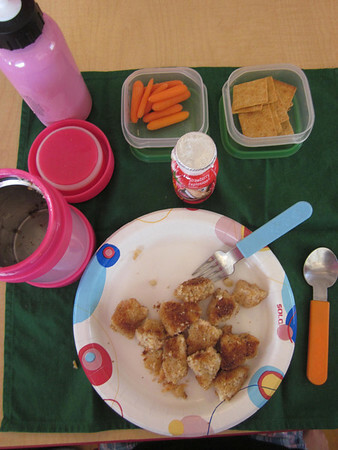 These lunches this week look so tasty and are giving my daughter (age 9.5) some great ideas for her lunches. She usually takes cold by choice since shes not a fan of the lunch menu at school. I'm wondering tho, are the children allowed to warm up any parts of their lunches, or do they eat them cold..or warm from a thermos? We don't have how to warm the lunches at school so they bring inside thermos. I just love the the children have decorated their table with place mats and napkins. When I was a kid and packed a lunch, sandwiches were always wrapped in waxed paper ("Baggies" first came out when I was about 14 years old), and lunch was carried to school in a brown-paper bag. So fruit was always an apple or pear or something else that was whole and didn't require peeling. Sometimes I took carrot sticks, but they often came unwrapped from their wax paper bundle before lunch time. We certainly could not have managed to take Eduardo’s Tortilla Espanola, Julien's penne in tomato sauce, or Ryogo’s lunch. Nothing came in little plastic individual containers then. Things were either sold in aluminum cans or glass jars. So no individual pots of yogurt, or cartons/bottles of milk. The school-bus kids that took their lunch every day while I was in elementary/primary school were given half-pint glass bottles of milk. (The rest of us walked home for lunch on all but the very coldest days, and -- on those days -- we went without milk with lunch.) 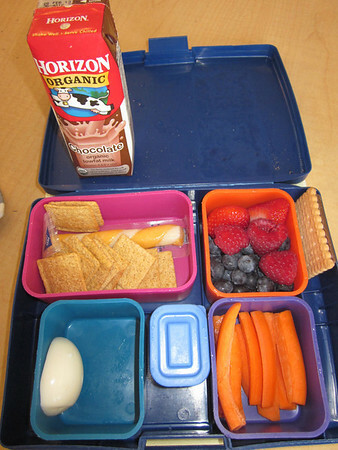 By the time I got into "middle school" schools were able to buy half-pint cartons of milk and those were sold to students, either as part of the school "hot lunch" program, or available individually for kids who packed their lunch from home. 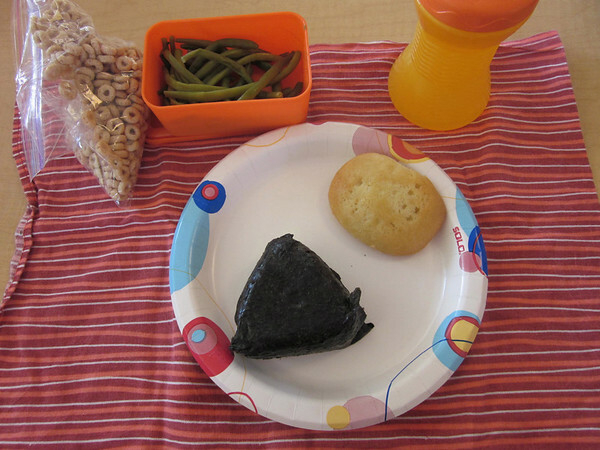 I don't suppose it really affects the taste but, since we do eat with our eyes as well as our mouths, looking at all of the attractive methods the children use to bring their lunches to school is almost as interesting to me as what they bring! Guess from the health standpoint the meals today are okayish.. not too good, but not really bad either. I just couldn't help to wonder, what the opposite of "organic chocolate milk" would be, but that's just because I'm not a native english speaker, for whom "organic" is a word coming from chemistry in which it is the opposite of "inorganic". So the inanimate (the "inorganic" materials) and the living world (the "organic" materials) are opposites, but milk - be it organic or non-organic ^^ - would always have to be considered organic, even if it's non-organic. In Germany that chocolate milk would be called "Bio Chocolate Milk" - which is about as stupid as calling it organic or non-organic, because of course milk is biologic in nature ^^ - because it was made using only ingredients coming from ecological farming. For milk it means that the cows have only eaten "organic" food, and haven't been treated with synthetic hormones or certain other medications. I just tried to exlain why I think that using the label "organic" (or "bio(logical)" as we do label it here in Germany) is funny. For me, at least. Since the kids in JAM are in kindergarten, are light snacks provided during the morning and/or afternoon? I do remember that, when my own children were that age, they often had a hard time with eating only three meals per day. I guess their little tummies weren't big enough to hold enough food to last them that long between meals, so they seemed to do better with light meals and then something healthy (like fruit, etc) as a mid-morning and mid-afternoon snack. 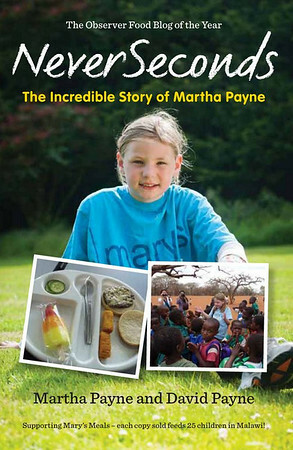 School offers a snack for the children once a day. They have juice with either a fruit or vegetable for snack. Todo tiene una pinta estupenda, pero... ¿son cuadros?, parece pintura. Con estas comidas las arterias pueden ser de plástico.